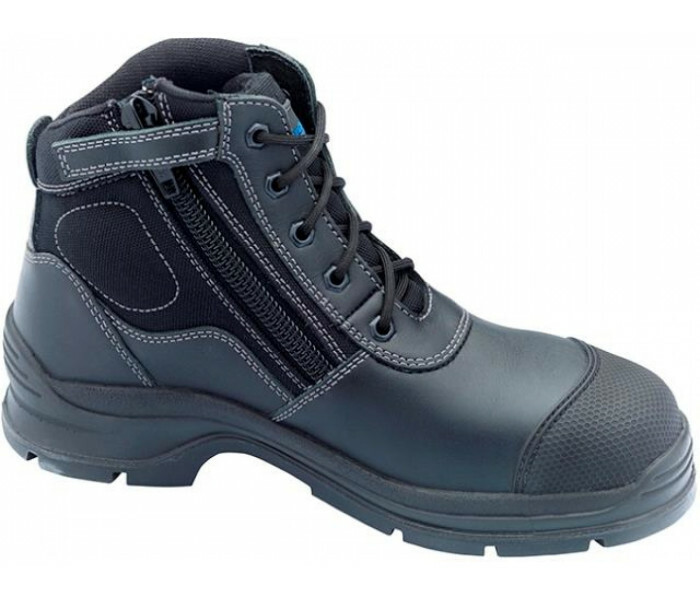 Style 319 is part of Blundstone's range of Workfit Safety Boots. Features the revolutionary Poron® XRD™ - providing a new level of comfort and shock protection. 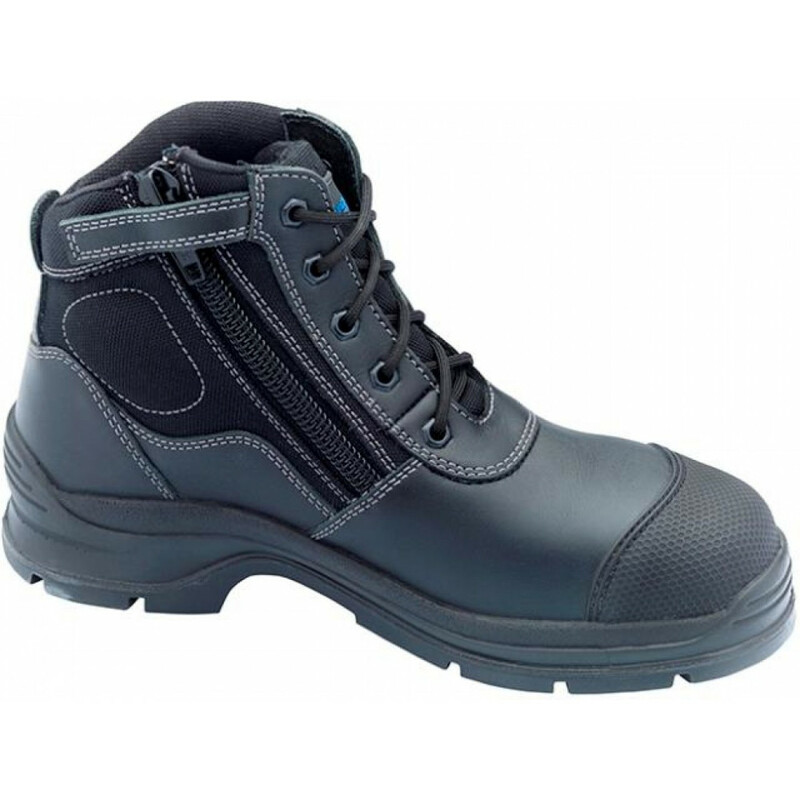 Black waxy leather and textile lace up safety boot. Toe guard for extra durability. Polyurethane(PU) midsole/thermo Urethane (TPU) outsole highly resistant to hydrolysis and microbial attack. Full length removable PU footbed - anti bacterial, breathable and washable. 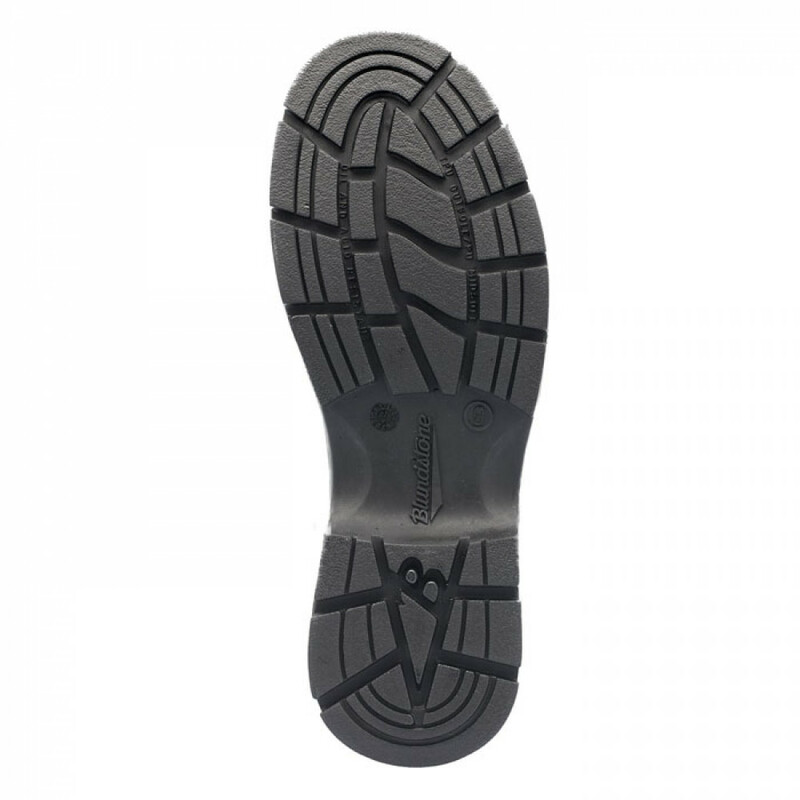 Slip lasted construction - lightweight, excellent step flexibility. Full heel breast with arch support for ladder and gantry safety.